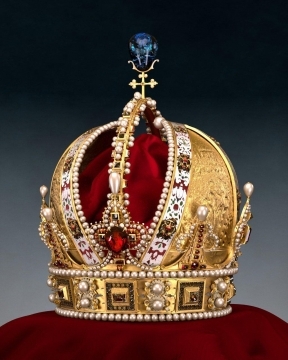 The crown is a very powerful symbol of authority and power, and it is the traditional form of headgear for monarchs such as kings, queens and emperors. Deities are also shown to wear crowns, and in that, the monarchs would associate their own origins with those of their gods or God. We’ve chosen to discuss the symbolism of the royal crown because it is fascinating how such a piece of jewelry can wield so much power and command so much respect. 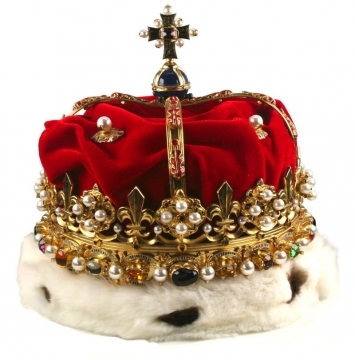 There are various types of crowns: those worn by monarchs, those worn by emperors and those worn by consorts. Their number is large, so we are only going to focus on the royal crown because it is still an important symbol in present times.There are 40 countries from all over the world with known royal crowns, and some of them have more than one. For example, the United Kingdom has six, together with the Crown of Scotland. Other important crowns for the Brits are: St. Edward’s Crown, Imperial State Crown, Queen Victoria’s Diamond Crown, State Crown of George I and the Coronation Crown of George IV. 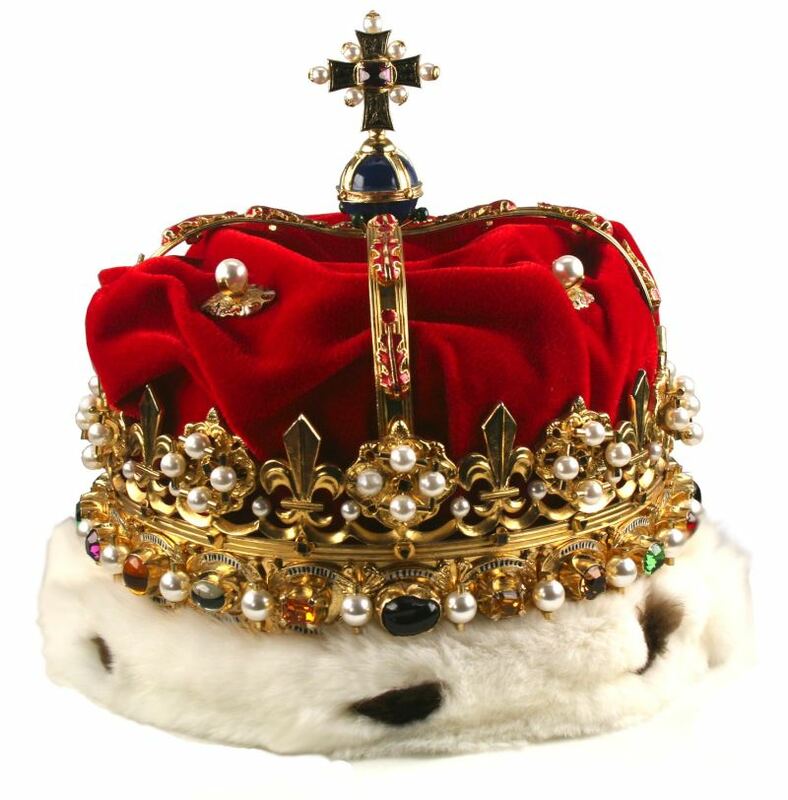 The royal crown is a symbol of power and authority, of triumph, victory, legitimacy, honor, and glory, but of resurrection, immortality and righteousness as well. In the past, it was truly believed that Western kings were directly anointed by God, and that His power flowed through them, protecting the people. This, of course, gave kings and queens tremendous advantage, and put the basis for monarchies and the need for rulers to produce heirs so the families who were in power, stayed in power. For example, the crown is sometimes shown in art as being brought by angels, or placed on the monarch’s head by angels. A link for the royal crown in recent history may also be the laurel wreath worn by Roman emperors, and which was also used to convince the masses that their emperors were chosen and protected by the gods. Similarly, royal crowns sometimes feature oak leaver, flowers or thorns, and they are sometimes built in the shape of a wreath. Besides their religious symbolism, crowns are also a symbol of wealth, as they are made only from the finest materials, metals and jewels. Usually, what is most impressive about royal crowns are their gems and stones; some of them feature the largest known jewels, like the Imperial State Crown, which is part of the Crown Jewels of the United Kingdom. This masterpiece weighs 0.91 kilograms and is 31.5 centimeters tall. It is adorned with some of the most famous jewels in the world, such as: St. Edward’s sapphire, the Black Prince’s Ruby, the Stuart Sapphire, and Queen Elizabeth’s pearls. Whatever they represent today, the crowns, coronets or diadems of royal families are an important part of cultures around the world and, if not for that, they still have a historical value and an artistic one, because they were made by the finest jewelers and craftsmen of the time.